Lowri Davies’ Welsh heritage is a major source of inspiration in her beautiful ceramics. The distinct slip-cast bone china tableware that includes tea sets, vessels and vases is decorated with her own vibrant illustrations of birds, landscapes, flora, fauna and traditional Welsh souvenirs. 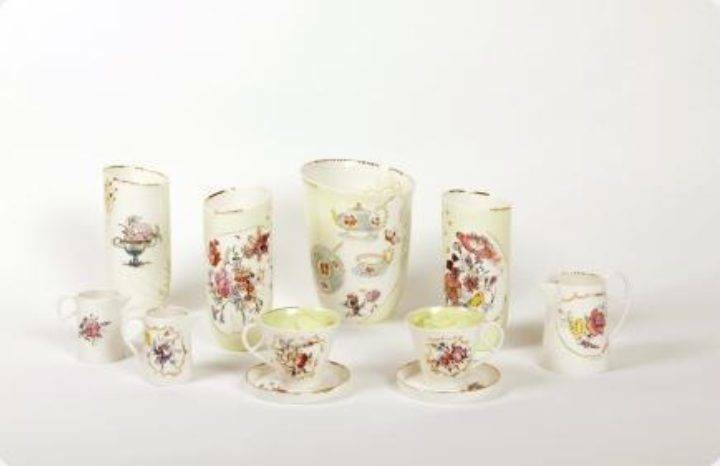 Even though there are references to important historical collections such as Nantgarw and Swansea porcelain Lowri has established her own unique style. She won the Gold Medal for Craft and Design at the National Eisteddfod in Meirion in 2009 and many of her works are held in private and public collections, including National Museum Wales.